Fall means wind, and wind means sailing. It’s an exciting time to take a sailboat out from Port Townsend, on Washington’s Olympic Peninsula, so why not run away for the weekend and do just that? 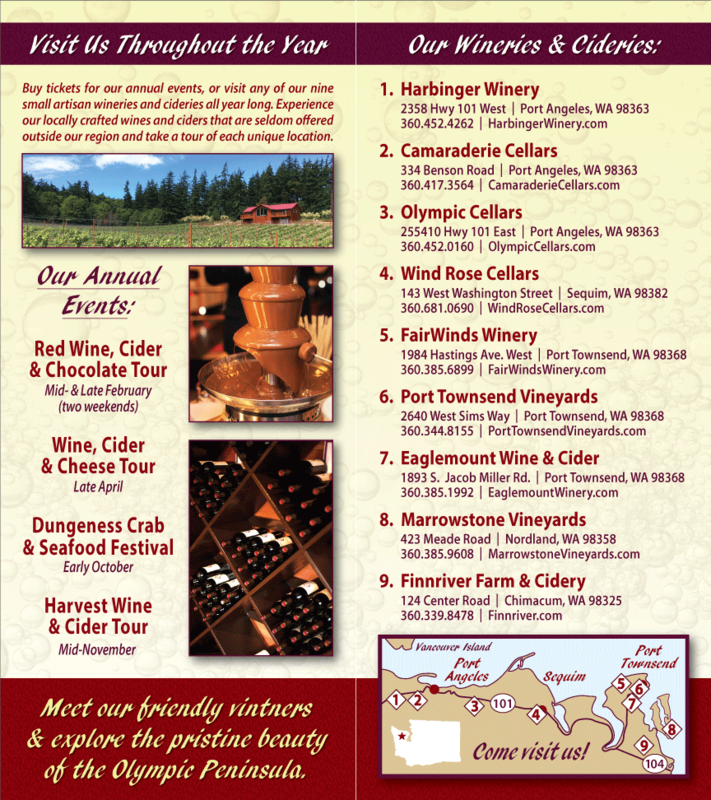 After a day on the water, head to one of the Washington State wineries in Port Townsend for a little wine tasting – it will help warm you from the inside out. Run Away to Port Townsend and enjoy sailing with the Port Townsend Schooner Company. The Port Townsend Schooner Company runs sailings out of Point Hudson Marina in Port Townsend aboard their 59′ traditionally rigged Pinky Schooner, Pleiades. They specialize in two-hour tours of the Port Townsend Bay but will also make longer journeys to Protection Island, out in the Strait of Juan de Fuca, or beyond. You may make arrangements for full day sailings if you like, to simply let them take you where they will. Once you board, sit back and enjoy views of the historic waterfront town of Port Townsend and the Olympic Mountains rising beyond, or roll up your sleeves and relax. The choice is yours. Should you decide to bring a picnic on board with you, consider stopping by one of the three wineries in Port Townsend and Chimacum for a bottle of Washington State wine or cider: FinnRiver Cidery in Chimacum has terrific hard cider; FairWinds Winery features a lovely white Burgundy, Aligote, as well as a tasty Lemberger; and Sorenson Cellars has a lovely 2007 Viognier that goes well with dried fruits and chèvre – perfect for a sailing picnic. For more information about the Port Townsend Schooner Company, please visit their website.